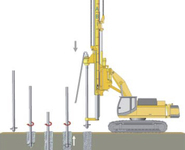 Typical applications for the deep soil mixing process include shoring, retaining walls, ground stabilization and cut-off walls. 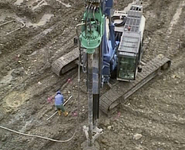 Soil mixing is a technique that uses hollows augers to mix cement with soil to form a mixture with improved character in terms of strength and permeability. 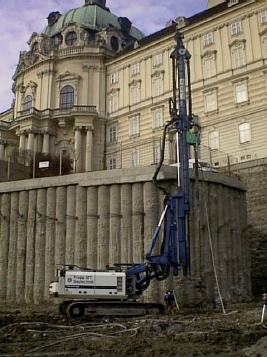 It is often used as an alternative to trench or pit shoring using conventional methods like beam and wooden lagging, soldier piles, sheet pile, or jet grouting walls. 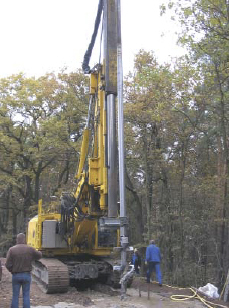 It is also used to consolidate contaminated materials. 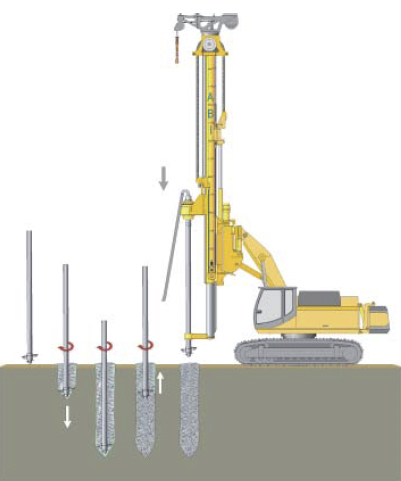 Deep soil mixing is vibration free, very low noise method of shoring ideal for use in granular soils where other construction methods are not applicable due to the vibration and noise emissions involved. 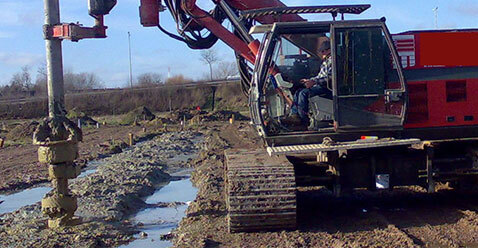 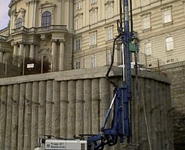 It is also a very economical process when compared to other forms of shoring given the right soil conditions. 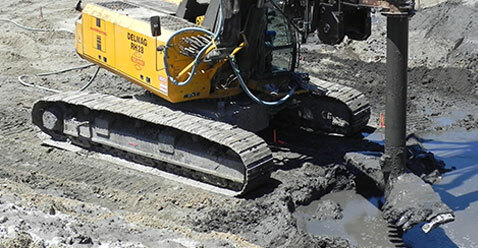 Cost factors in favor of soil mixing are high production rates, absence of aggregate such as sand or gravel in the grout mix, and the fact that no spoils are generated from removal. 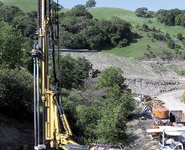 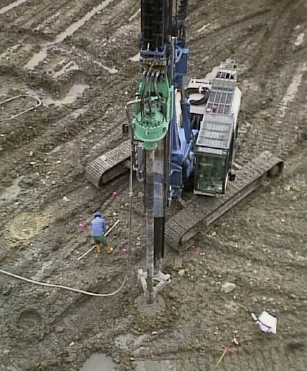 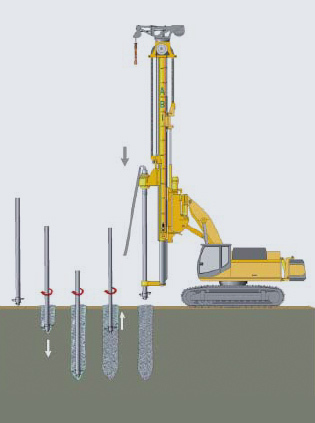 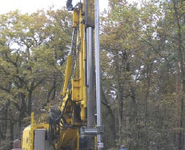 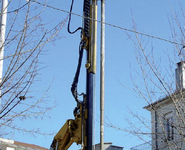 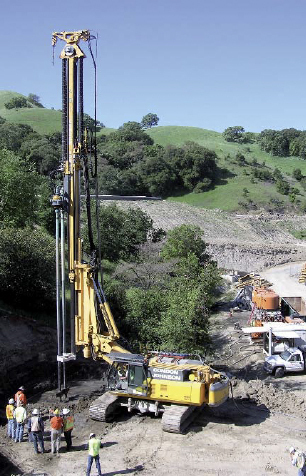 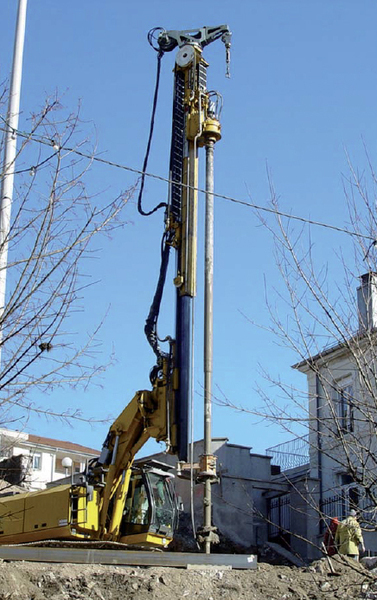 The soil mixing process is often combined with conventional shoring techniques as in the installation of secant-pile-walls where the primary piles are mixed and the secondary piles are cast-in-situ concrete bored piles or vice versa.